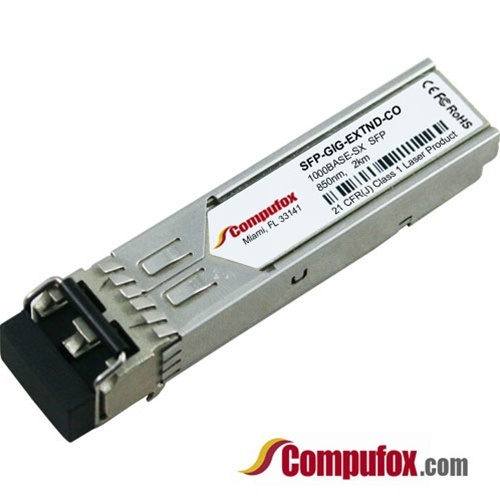 SFP-GIG-EXTND - 100% Alcatel Compatible - Lowest Prices! Alcatel-Lucent Compatible Extended 1000BaseSX SFP MMF over 850nm with LC connector, reach of up to 2km on 62.5/125 MMF or 550m on 62.5/125 MMF. Requires SFP-GIG-EXTND or GBIC-GIG-EXTND at the remote termination.